Besides dedicated links and physical transport of files, Amazon provides a pure internet solution (S3 Transfer Acceleration) to transfer files to Amazon Simple Storage Solution (S3) which might be enough for your needs. I will describe here my experience using this method from a manual perspective (no scripting this time) which should be enough for cases when for example you are moving to the cloud those big on premises or on Colo files. Start by performing a test to see how faster this method will be in comparison with the direct upload method http://s3-accelerate-speedtest.s3-accelerate.amazonaws.com/en/accelerate-speed-comparsion.html. I had to transfer 1 TB of data to S3 from Windows 2008 servers. Here is how I did it. To transfer your files with S3 Accelerated Transfer Upload Speed select your bucket from AWS console | Properties | Transfer Acceleration | Enable | Get the accelerated endpoint which will work just as the regular endpoint; for example mys3bucketname.s3-accelerate.amazonaws.com. You can use AWS CLI in windows just as well as in *nix systems ( http://docs.aws.amazon.com/cli/latest/userguide/installing.html#install-msi-on-windows ) to upload or download files. See below for an example that shows how I configure AWS CLI, list what I have in S3, set the AWS CLI to use the accelerated endpoint and finally copy the data to the bucket. I got 12MB/sec versus 1.2MB/sec at regular speed. I was able to transfer 1 TB in around 16 hours. The good thing is that the command behaves like rsync meaning that new files or addition to existing files will be the only data you will be transferring after that first attempt. This is good news when you are planning to move the infrastructure to the cloud as it minimizes the possible business disruption timeframe. WARNING: S3 transfer Acceleration has an associated cost. All I can say is: It is worth it. It costed us $8.28 to transfer above 1TB of data from an on premises Windows Server to an EC2 hosted Windows Server via S3. * Lambda functions must finalize within a short period of time and therefore the amount of snapshots should be an external environment variable. * Reserved IP addresses might not be in use in which case we should show the instance id as empty, otherwise we get an exception. How difficult is to audit your AWS Cloud Infrastructure? Instances, volumes, snapshots, RDS, security groups, elastic IPs and beyond. A single report to get all the invaluable information that will keep you informed to make critical and quick decisions. After getting confirmation go to SES | SMTP Settings | Create my SMTP Credentials | Provide a username like ‘anyusername’ for example and Amazon will show you the credentials (SMTP Username and SMTP Password). Keep them in safe place. You can also download them. This is the last time AWS will share them with you. You can clone/fetch/checkout my latest version from my fork: Really useful stuff. Thanks PowerUpCloud for the quick start! It happens. The continuity of the business (COB) will be compromised if there is not a sound Disaster Recovery (DR) plan. DR is the ultimate goal of a business continuity plan (BCP). To accomplish this task for Amazon hosted machines we could use a CloudFormation stack template as we did for the in region backup. However, if we just need to replicate all snapshots created in a region (in region backup) to another, then all we need to build is a Lambda function and schedule it. Create a Lambda Function: AWS Console | Services | Lambda | Create a Lambda Function | Configure Function | Name: replicateAll; Description: Cross Region Replication; Runtime: Python; Paste the code from aws-cross-region-replicate-all-lambda.py script and customize it to your needs; Role: CrossRegionReplication; Timeout: 5 min; | Next | Create Function Test the Lambda: You can test the whole function or just part of it using the “Test” button. Very useful for example to see what it will do if you comment the copy_snapshot() statement. What did we do? 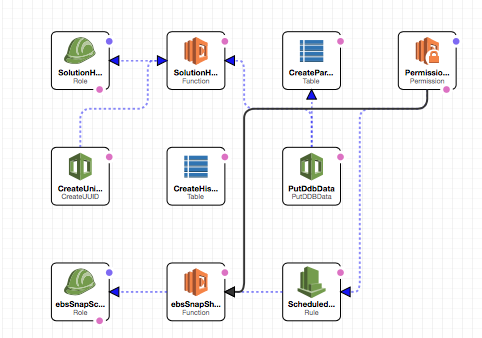 In the last two posts I have shown how to create a bare minimum BCP/DR for AWS EC2. There is a lot more to have ready in order to make sure that a DR datacenter can operate as the new live datacenter, however having the data volumes available is the absolute first step. Out of the snapshots we could at least manually rebuild the environment. Culture first. To achieve continuity of business (COB) you need a business continuity plan (BCP). A crucial part of such plan is to have available backups. 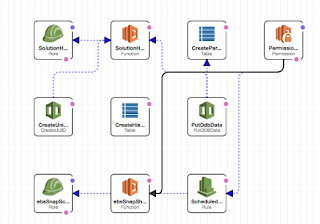 Amazon Web Services (AWS) offer Amazon Elastic Compute Cloud (EC2) instances that can be crash-consistent backed up into Amazon Simple Storage Solution (S3) via Amazon Elastic Block Store (EBS) snapshots. Here I show how to use the out of the box provided AWS CloudFormation Template for EBS Snapshot Scheduler. No need to deal with AWS CLI, lambda functions, task scheduling, extra dedicated instances, IAM policies and permissions. The Launch Solution button/link will allow you to define a new CloudFormation Stack (the collection of resources to be provisioned which are defined in a template file). 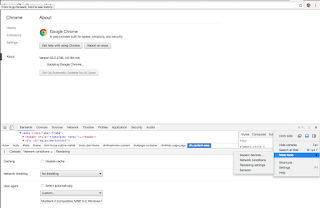 Alternatively use Console | Services | CloudFormation | Create Stack | Choose a Template. Make sure to check what zone you are in the console UI and as usual change it to the correct one. Select “Upload a template to Amazon S3” and upload the one you created above. Type a stack name like EBSSnapshotSchedulerTest. If you don’t pick a name the default would be EBSSnapshotScheduler. You can configure from the UI most of the previously mentioned configuration but you might want to do that from the template anyway to keep your configuration files current and correctly versioned. Press Next all the way through to go with defaults, check “I acknowledge that AWS CloudFormation might create IAM resources.” and hit Create. You can deactivate by removing the tags. That’s probably 24 hours worth of work and troubleshooting. It is worth to be said that I published a scheduled Lambda that will take care of cross region replication, which demonstrates that we could achieve the same most important goal for in-region backup in a simpler way. Of course you will need to code a bit for that solution. Hopefully the creators of the CloudFormation EBS Snapshot Scheduler will either add replication as a feature or will build a new CloudFormation to take care of replication for the masses. The ebs-snapshot-scheduler is open source. If you need to take multiple backups within a day you will need to retag your instance but you can still use just one CloudFormation stack. I have opened a feature request to avoid adding an extra tag per snapshot creation time leveraging cron expressions. Change your TDS version below as needed. You can add the $password directly at the end if you know what you are doing. Thanks to Williams Medina for pointing this out. Or if you want to interact with top just start it using 'top -c', then press "o" and use as filter "COMMAND=processName"
Click on "go live now"
Copy the jar as /opt/TOS_DI-20150702_1326-V6.0.0/plugins/org.talend.libraries.jdbc.sqlite3_6.0.0.20150702_1326/lib/sqlitejdbc-v056.jar. Note again that you must keep the same old name. I assume your installation is done in /opt, if not follow the path convention and I am sure you will figure it out. What are the most important Key Performance Indicators (KPI) to be measured? One of the most commonly asked questions about Project Management is "what are the most important Key Performance Indicators (KPI) I should choose?" The answer as usual is: it depends. Defect Ratio: Because without quality there is not sustainable productivity. To measure it, calculate what percentage of the total MMF are defects both for total open and closed per period MMF to understand the quality of your service or product. Work In Progress (WIP): Because context switching works against human productivity. To measure it, inspect the cumulative flow diagram (CFD) for increased MMF WIP slope in relationship to closed MMF slope. To be precise, divide the gradients for a ratio. Both slopes should be the same to ensure optimal WIP limits are in place. That means the ratio should be 1. Forcing the Personal WIP limit to 1 is ideal, beyond 3 is chaotic. Delivery Frequency: Because to avoid entropy you need to deliver as soon as it is done without piling up. To measure it, inspect the CFD for changes in closed-issues slope. The slope should be either constant or increasing, never decreasing. Deployments per period could give you a good measure of how often the company delivers. Demand versus throughput balance: Because delivery is done through a funnel where the mouth and stem sizes signal the need for adjustment of one of the three iron triangle measures: resources, scope and schedule. To measure it, calculate the open issues divided by target issues. This ratio should be maintained or decreasing, never increasing. Prioritization time: Because finding out what the customer wants is crucial but time consuming, any time over-spent on this is a nonsense waste. Prioritize based on available slots from the already prioritized backlog queue to keep a small weekly scope-framed value-cost-of-delay-risk multi-var-dimensional analysis. Measure it assigning to each prioritized MMF the time it took in arriving to its choice. Make the prioritization choice based on the results from a radar chart using relevant variables as axis and deciding what is most important based on resulting taxonomies. Variability: Because predictability is the ultimate goal for continuous delivery of MMF (without continuous delivery the cost of delay and risk goes up). Measure it looking at the control chart for cycle and lead time. The objective is to narrow the standard deviation. Throughput: Because it is what the business unit can offer in terms of resources and capabilities. Calculate it using the number of MMF completed. Its result is a quantitative measurement of the output. Productivity: Because the objective is to deliver products or services that are effective (needed) and efficient (optimal use of resources). Calculate effectiveness as the ratio between current hours spent in the value stream and total hours paid. Calculate efficiency as the ratio between expected hours per MMF and your current hours per MMF. The team is more productive when both effectiveness and efficiency are high. Total MMF open at the end of the month / Total MMF closed per month: ? Average prioritization time per MMF: ? MMF cycle time standard deviation: ? MMF lead time standard deviation: ? MMF closed per month: ? Hours spent in value stream / Hours paid: ? Expected hours per MMF: ? Current average hours per MMF: ? Acknowledgement: I wouldn't have dared to think profoundly about metrics without entering the world of lean thinking. I entered this world after reading some W. Edwards Deming literature, getting introduced to TPS, Toyota Kanban and finally studying the blue book from David J. Anderson (a real revelation and source of constant reference for me). I submitted this issue as a potential bug for consideration. Here is a recipe to install and configure ModSecurity (mod_security) tested in Ubuntu 14.04 Apache. This recipe will activate sql and command injection protection rules. There are several other core rules you can add just by copying them to /etc/modsecurity and restarting the server after. There are base_rules, experimental_rules and optional_rules distributed in the ModSecurity project. 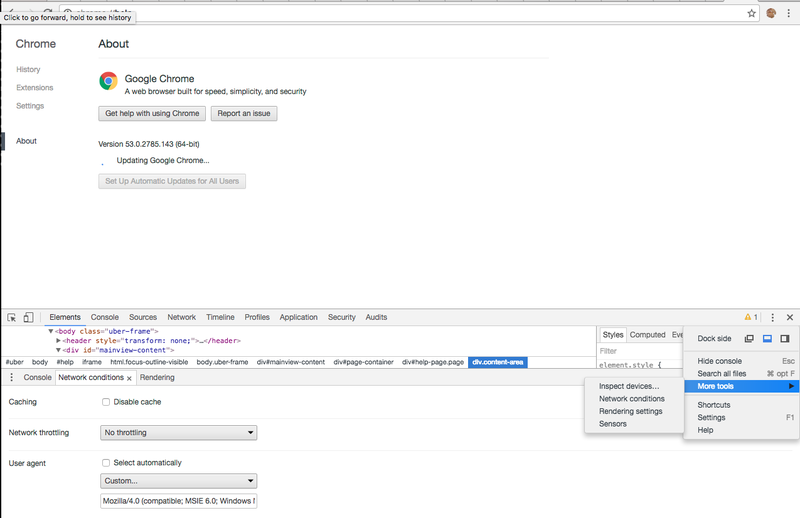 This is a fairly simple setup which I would consider basic to secure any production web application. You might need to add exclusions for certain non compliant and existent URLs. Since developers could take take a while to fix several existent issues and you do not want to delay the Firewall protection here are some guidelines to smooth the installation and produce your MMF ASAP. SecRule REQUEST_URI "@contains /path/containing/service/accepting/long/parameters/content/and/literal/code/and/others "phase:1,t:none,pass,id:'1',nolog,ctl:ruleRemoveById=959070,ctl:ruleRemoveById=960024,ctl:ruleRemoveById=981173,ctl:ruleRemoveById=950901,ctl:ruleRemoveById=981231,ctl:ruleRemoveById=981240,ctl:ruleRemoveById=981243,ctl:ruleRemoveById=981245,ctl:ruleRemoveById=981318"
Internet Explorer 11 and Cache-Control: no-store - bug or feature? The "solution" is to set a max-age for Cache-Control only when fonts are requested. This is an example of "let us please those that do not care much about security affecting those that do care". In my opinion this is an IE11 bug and I would certainly ban this browser until fixed from accessing any application that should comply with privacy laws.